Waverley’s dining venues offer members, their family and their guests a unique and extraordinary dining experience. 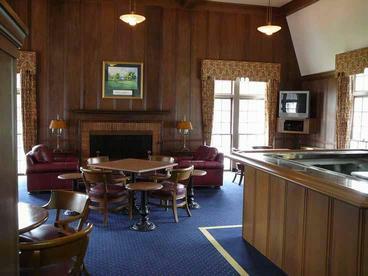 Whether a member is looking for a formal affair or an informal gathering, the clubhouse and staff supports that desire. Numerous outlets are available to members, family and guests to enjoy time dining together. Unique, special and different perfectly describe the setting of Waverley’s outstanding pool facility. The grass underfoot dining offers members, their families and their guests the ideal setting to enjoy a beautiful sunset after an afternoon of golf. Crystal clear water and attentive caring staff make an afternoon or evening at your Club extra special. Nestled between the pool facility and the Willamette River, Waverley’s West lawn offers members lunch and dinner service. Second only to Waverley’s 1896, there is not a more beautiful setting to dine and enjoy the camaraderie of fellow members in the Portland area. What are you waiting for? Waverley’s spectacular milieu offers members a dining venue unparalleled anywhere in the greater Portland area and some say far beyond. Members and guests are delighted on warm sunny days with full menu and bar service along the banks of the Willamette River. Nestled between Waverley’s sparkling blue pool and the Willamette River, Waverley’s West Lawn offers grass underfoot lunch and dinner service throughout the summer season. Many Club events are held here throughout the season otherwise reserved full time for member ala carte use. Guest’s are wide eyed as they relax Riverside and are served by caring, attentive staff. Riverside dining is very busy throughout the entire summer and reservations are strongly encouraged. Groups over 12 must have a set menu to ensure large groups do not slow service for fellow members. Set peacefully behind the #18 Green this is truly Waverley Country Club’s garden spot. OPEN FROM MEMORIAL DAY TO LABOR DAY... As always reservations are most appreciated during this busy summer season and to insure we are ready for your arrival. Waverley’s wine cellar is continually recognized as one of the finest collections of wine offerings of any of the private clubs in the Pacific Northwest. Recently honored by the Club Managers Association of America’s International Wine Society with the “Award of Distinction” for the fifth consecutive year, Waverley was one of twenty eight Clubs in America to receive this merit. The “Award of Distinction” is the Society’s highest level of recognition, reviewing 6,500 private clubs nationally. 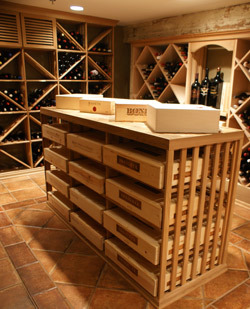 The wine program consists of three temperature controlled wine rooms that house over 5,000 bottles. Providing over 18 wines by the glass and offering nearly 500 different labels of wines on the list, Waverley can provide its members a unique experience every time they come out to the Club. Member bins available. Please contact the Assistant Manager for more details. Visit the Dining & Social area to view more information on Wine and Waverley. Waverley’s 1896 gracefully provides an elegant venue for ala carte dining, private and special events. Waverley’s award winning wine program offers extraordinary choices to complement your meal. Our exceptional culinary staff is always prepared to accommodate our members’ specific needs. The 1896’s luxurious Dutch Colonial style décor and spectacular views of the golf course and Willamette River is unlike anything else in the greater Portland area. French doors open onto the Veranda for outdoor dining during summer. The Dining Room cocktail area, adjacent to the fireplace, provides a warm cozy atmosphere to enjoy cocktails with family and friends. Waverley’s old world elegance provides members and guests a most memorable experience. Waverley’s Terrace Room is directly adjacent to the 1896. The Terrace Room offers full menu service with specials changing regularly. Waverley’s wine cellar offers many outstanding choices to compliment your meal with an expansive wine list including over 18 wines by the glass as well as half bottle splits. Our exceptional culinary staff is always prepared to accommodate special dietary needs. The Terrace Room’s airy open feeling and antique garden wallpaper has long been a member favorite. Overlooking the Terrace Patio and golf course this lovely setting provides members with informal dining prior to 3:00pm. Waverley’s golfing ladies enjoy lunch daily on Tuesdays and Wednesdays during the golf season. During warm seasonal months the Terrace Room's twin set of French doors open onto the Terrace Patio. Its charming details make it the ideal space for a bridal shower or private dinner year round. Waverley’s North Lounge, overlooking the Terrace Garden and two stunning finishing golf holes, offers old world charm for member cocktails and occasional member dining. Members can enjoy cocktails prior to dinner or reserve the room for an intimate special event. From time to time, formal dining is seated in the North Lounge when the 1896 and Ballroom are reserved for member private parties. Summer and early fall offer spectacular vistas and a light open atmosphere tied into the Terrace Room Patio. During cooler weather the marble fireplace adds a warm glow to the rooms atmosphere. The warm airy décor makes the North Lounge a comfortable atmosphere to spend time with family and friends. Waverley’s Ballroom embraces a long history of member events and dining from years past. Crystal chandeliers adorn lavish surroundings accommodating member cocktails and occasional member dining. The flexibility of this room allows members to enjoy Club events, entertainment and social gatherings. The look of the Ballroom pays tribute to the historic dance hall that was part of the original clubhouse, circa 1897. Waverley’s Business Center is located on the second floor above the Men’s Locker Room, this space provides privacy for members and their guests to respond to emails, make calls or simply relax. .
Waverley’s Men’s Bar, located inside the Men’s Locker Room, provides gentlemen members and guests a full lunch menu as well as full bar service. This spot is a great place to play cards, watch a favorite sporting event on two televisions or just cozy into a private space all your own. The log fireplace adds a warm glow to the room during chilly winter days. Members watch the Willamette River flow by and the activities at the Club pool while enjoying this retreat within the Locker Room facilities. Waverley’s Grille offers casual dining for breakfast on Saturday and Sunday mornings, as well as lunch and dinner throughout the week. Open to members, spouses and their guests, this gathering place offers members, couples and families the opportunity to dine or have cocktails while watching golf or other major sporting events. The Grille compliments poolside dining throughout the summer season offering indoor dining adjacent to seating along the banks of the Willamette River. The Grille menu offers a wide variety of delicious menu options with daily specials. Waverley’s culinary staff is always prepared to accommodate special dietary needs. The Ladies' Lounge offers Waverley women a sophisticated and intimate space for playing cards or enjoying time with friends. The Bridge Club, Book Club and ladies golf organizations utilize this space to gather and enjoy camaraderie and member service. 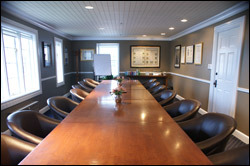 This room may also be reserved for private events such as meetings or luncheons with a range of hospitality services. This beautifully appointed room is open and airy. Vistas take the eye across the golf course and out to the Willamette River. The views of #9 and #13 holes are unmatched anywhere else in the clubhouse. The veranda offers a step outside to enjoy one of Oregon’s most recognized and breathtaking golf venues. Single or Double Occupancy...$165... All guest suites are guaranteed to the member upon making the reservation with a 48 hour cancellation policy. For more details and to make your reservations, please call (503) 654-6521 to check room availability. For more information, please click HERE. The cottage is nestled in a setting of lush greenery, with classic golf landscape views. The cottage consists of three bedrooms (queen beds), an equipped kitchen, dining and living areas, fireplace, two bathrooms and laundry room. A spacious bedroom and full bath are located on the main level of the cottage, with two separate queen bedrooms on the upper level. The cottage includes free internet access. There is also a delicious complimentary continental breakfast is included. Member friendly pricing makes staying at Waverley a wonderful option. Rates...$270 per night... All reservations are guaranteed to the member with a cancellation policy of 1/2 charge 15-30 days out and full charge 14 days or less. For more details and to make your reservations, please call (503) 654-6521 to check cottage availability. For more information, please click HERE. To read more about Waverley Member H. Chandler Egan, please click HERE.